Post WWII Federal Republic of Germany; Official denazified "1957" issue for Veteran?s wear (as WWII awards were not allowed for wear). Made in 1960's, in bronzed metal. 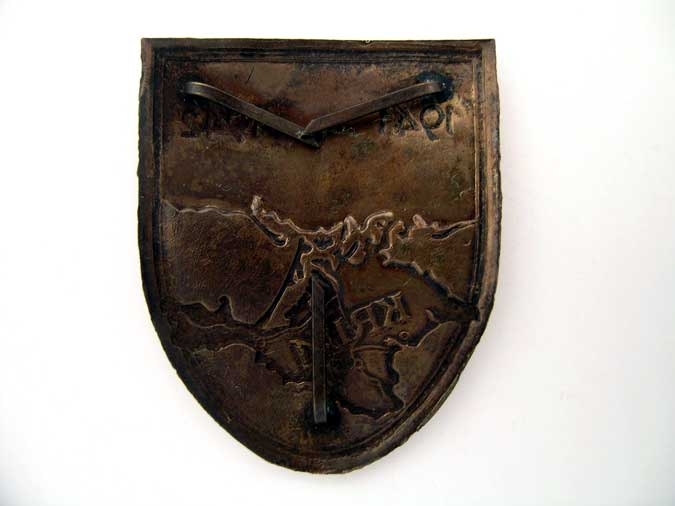 These shields were awarded only to the German Veterans entitled to this shield during the War. 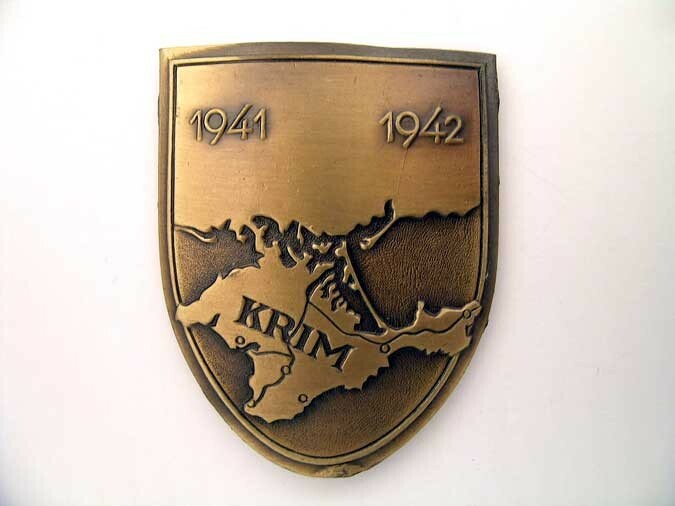 Production of these shields ceased in 1986. In extremely fine condition.